LUNCH Monday – Friday 12:00-3:00 Saturday 12:00-3:30 Sunday 12:00-4:00 DINNER Monday – Friday 5:00-10:00 Saturday 5:00-10:30 Sunday 5:00-9:00 Bar open all day. Monday Wine Club: BYOB for £5 corkage all day. Express Menu: £25/£28 for 2/3 courses. Available Mon-Sat until 6:30pm and all day Sun. 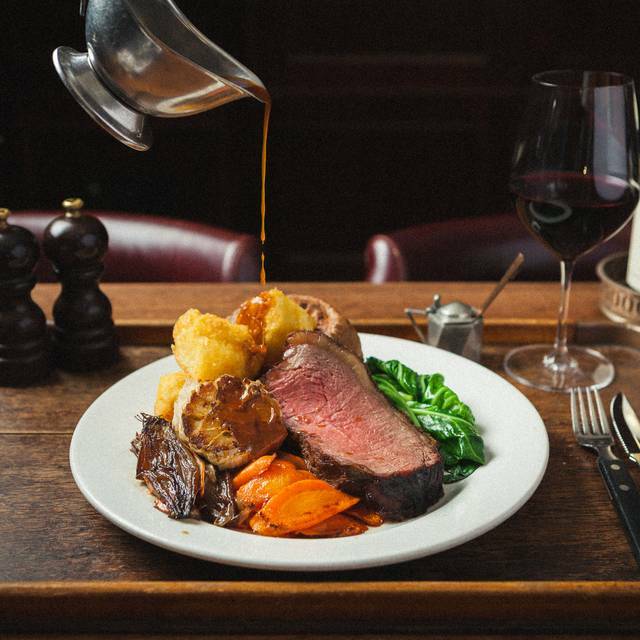 Sunday Roasts: We can’t guarantee roasts will be available after 5pm. The award-winning British steak and seafood restaurant has opened its doors north of the border for the very first time in Edinburgh city centre. 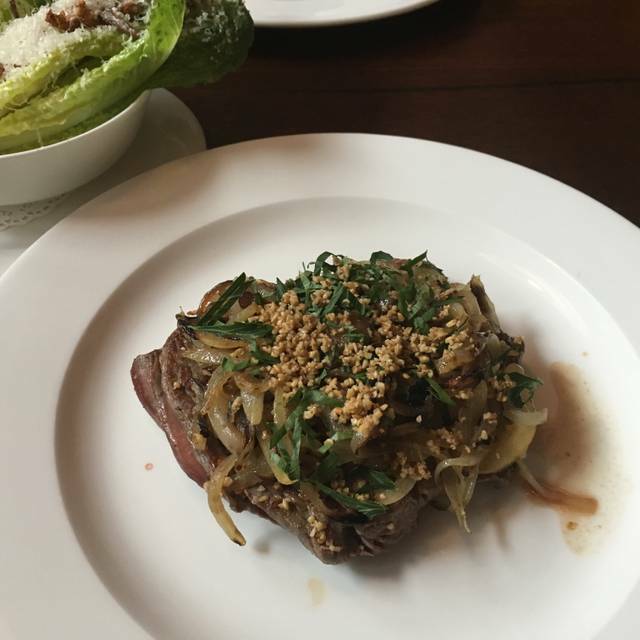 Hawksmoor is the perfect place to enjoy warm hospitality in beautiful surroundings. 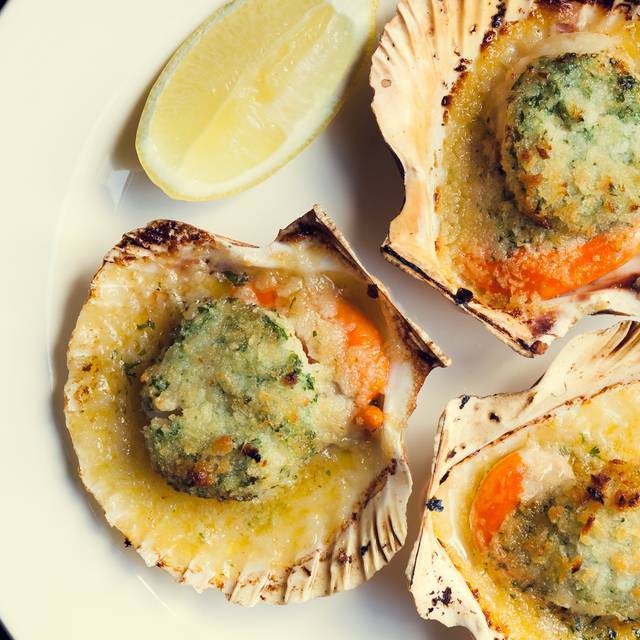 With a great reputation for sustainability and ethics, the team continually source incredible produce from all corners of the country, whether it be scallops from the Isle of Mull, 35-day aged grass-fed British beef, or rare locally-sourced whisky. A simple ethos of buying the best & preparing it simply means that most of the menu items come from exceptionally passionate, small-scale producers. The restaurant holds space for 170 guests, including a beautiful, light-filled private dining room for 12. 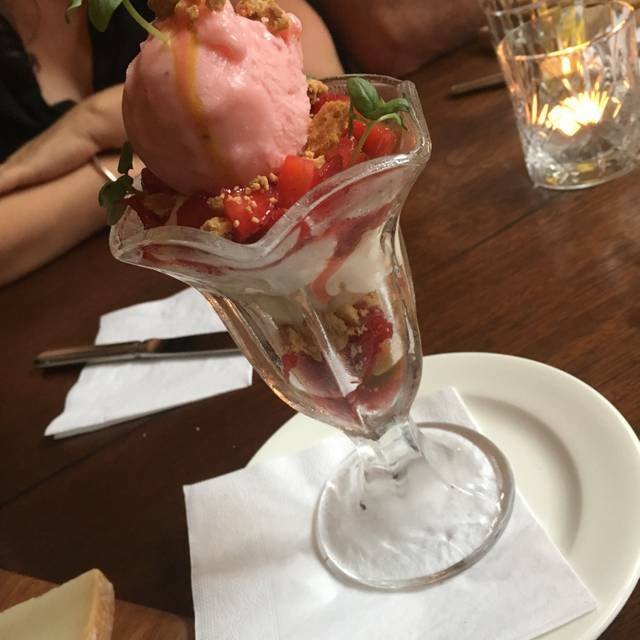 With intimate booths for the evening, sunny tables for two under the huge sky-lights, or seats near the kitchen pass next to all the action, Hawksmoor is the ideal spot to dine with colleagues & loved ones alike. My eldest daughter's birthday, table for four. Service was friendly, efficient and attentive. There was no hurry to order and when the food came it was cooked just as requested. Delicious starters and main courses. Nice touch was a board brought to the table with Happy Birthday written in chocolate. Perfect afternoon was had by all. Was sat at the bar for 40 mins after my reservation time and not offered free drinks. Instead had to order even more drinks to bide the time from the overpriced wine list. Had ran out of both lobster and monkfish and as such had to have a burger - which in fairness was very nice. But I found the menu to bit a little bland and in fact quite pretentious. Charging £34 pounds for a steak (literally a piece of meat on a plate) then £5 for 'buttered greens' (greens plural is an overstatement as this is just spinach and butter) is a little over the top - the steak was nice I must admit but definitely not that nice. The menu was lacking options and creativity. Boring, overpriced food that you would foret in a hurry - if it wasn't for the bill. The building is very beautiful but the food and the service left me a bit resentful to pay the very large bill at the end of the meal. I don't think i would want to go again and certainly wouldn't recommend to a friend. A nice venue. Maybe a little too big but a nice change from small cramped restaurants that you find a lot in Edinburgh. The service was good and the food was excellent. I had a 400g rib eye and my partner had the sirloin. We had several sides including mushrooms and macaroni and cheese and found that this was more than enough. Would I go again? Maybe, but there is a quite a bit of choice in Edinburgh for this type of food now and it can't hurt to try others. Epic meal for my husbands 50th Birthday - beautiful food, great staff and service - absolutely stunning. Amazing venue, food, cocktails and outstanding service! The place is buzzing on Saturday night but in a good way - You have enough privacy to have a conversation, while having the feeling the place is alive. Definitely on the pricey side of things (Particularly the cocktails) but I would still recommend it for special occasions. PROS: friendly staff who can't do enough for you - fantastic modern setting in a beautiful old building - great buzzy atmosphere (Friday evening) - comfy booths - many food options delicious. CONS: pretty expensive - limited veg side dish options. We came for a birthday dinner: Palmer (their house champagne) had never heard of this producer before but it was better than some of the more famous fizz, very good and reasonable at £57 bottle. Starters were to die for, 3 (or 4 for us as we shared) large scallops in white port and garlic butter in shells (really gorgeous) also potted beef, onion gravy and 2 large Yorkshires (very tasty too). Chateaubriand for 2 (£65 for 500g) tasted fine but not the best flavour we've come across for this meat and oddly carved lengthways, still it tasted fine (left a teeny sinewy bit on the plate) My béarnaise and hubbys' pepper sauces were spot on. Vegetables were very disappointing in choice: you could have potatoes done 5 ways (have the triple cooked chips, not the "lard fries" which are basically McD's), 2 spinach options, mac cheese and cabbage and a few salads (surprised to see Caesar salad as a side option for a steak restaurant?) but no root vegetables like carrots, swede, parsnips and no broccoli, mange tout, snow peas or onion rings? So we were basically limited to chips and a few large mushrooms (we do eat spinach but not creamed or with lemon/garlic?) Our waiter Ioan was apologetic and tried to get us something else but peas were the only option the kitchen could muster and we didn't want to pay what might've been £3.50 for a side of peas but we were given them foc by Ioan. Our sommelier (can't remember her name) was spot on with the French cab sauv blend we had, a really good choice at £62. After mains came a birthday platter with 2 comp champagne & gin cocktails which tasted great. STP pudding came comp and was delicious. Cheeses were good, coffees as well. A great night! £274 though, plus 15% tip but Ioan's service was fab. Fab cocktails, lovely wine, great steak (slightly disappointing chips but quickly rectified). AMAZING dessert - we shared the Ambassador's Special with the Tokaj pudding wine - fantastic. Lovely ambience and good service. We will definitely be back. The food was ok. We ordered the chateaubriand and we were given 3 nicely sliced bits which were good but were given two end bits as the forth and was extremely tough... not what you expect when you are paying £13 per 100g!! Service was very poor... our server was nice but never around and when we tried to get other servers attention we were ignored...I’m not sure we’d visit a Hawksmoor again as a result. Love everything. Have been two weeks in a row, and will probably go next week as well. Great food, drinks & service. Nice that the music isn’t super loud so you can chat without having to shout. The Scallops and Dessert are perfect. Steaks cooked very well, good service. A sweet potato over-salted for my taste was substituted by field mushrooms, excellent. Booked table after looking at menu online for my sisters birthday we new would have a pre starter of both type of oysters and my sister would have lobster and skinny fries all four not available so disappointing. Nice staff. Very slow service. Food good. Table near kitchen entrance could have been screened. Great service, delicious food. Bit pricey as it costs extra for all your sides but overall a great meal so nice for a special occasion. Bit cold due to high ceilings but beautiful building and well worth a visit! Mixed review, food was good but my first complaint would be how the steaks were cooked. We ordered two medium rare steaks and we were served two medium rare steaks but once we cut into them, one was rare and the other medium. Not what we ordered but still happy to eat them. A bigger issue was our bill which upon a closer look once we left the restaurant was incorrect. We were either overcharged or misquoted the size of the lobster resulting in paying extra. We ordered a glass of red wine (£11) but the bill was for a £16 glass and we were charged for dripping chips rather than fries which were also more expensive. I understand that it only totals up to £10 or so which may not seem like much but I’ve spoken to friends who have had similar experiences before. The service was also quite slow, plates were left empty on our table for a while and it took three attempts to get a missing drink brought to our table (we were only a table of 2). 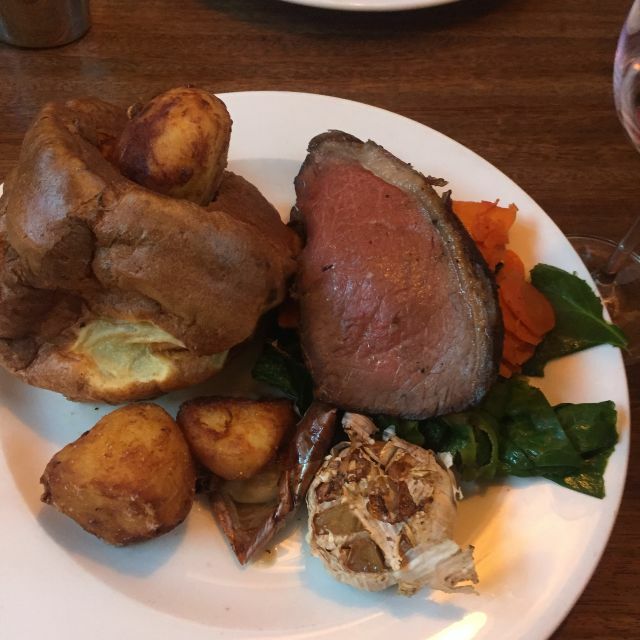 Best Sunday roast in Edinburgh. More from groups than romantic meal, due to noise level. Could offer more wines of a reasonable price. 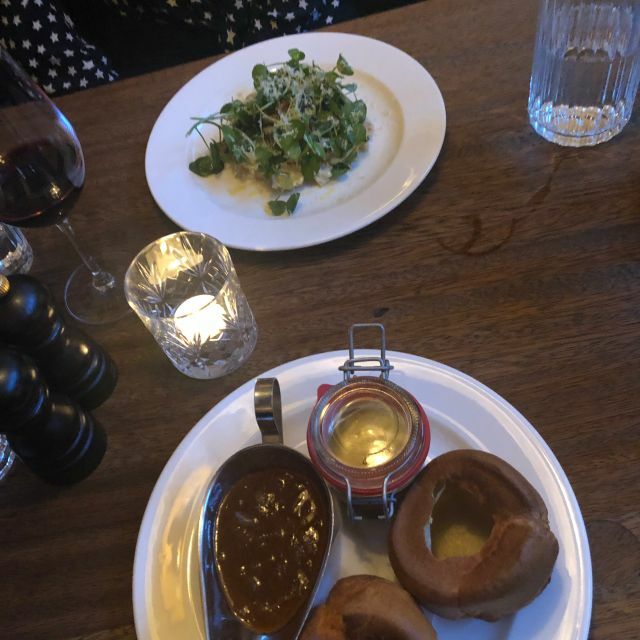 I have always wanted to try Hawksmoor as I didnt get to try it when I lived in London, so when I relocated to Edinburgh I was excited they had a branch here that I could try. I thought ill book the place for my 30th Birthday as it was the perfect occasion to go. Although the service was pretty good, I was really disappointed by the quality of the food. 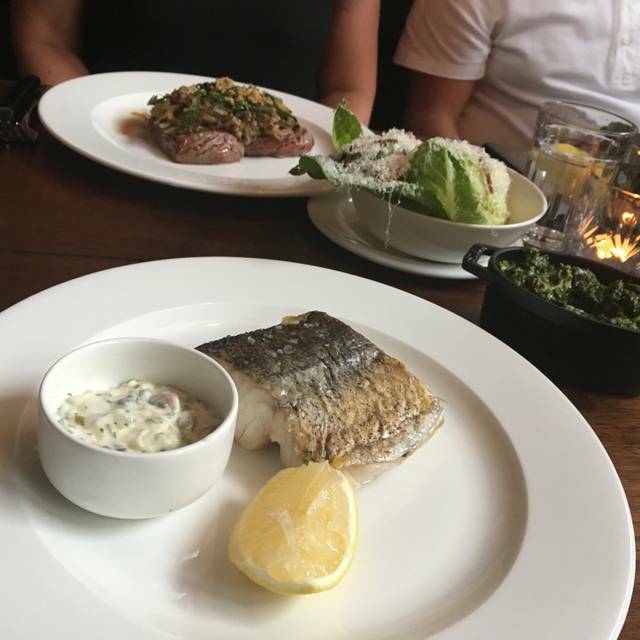 I was with a group of 6 and we all ordered the Chateaubriand, 3 between 6 of us and all 3 Chateaubriand were full of fat which is something you don't expect to see when you order a Chateaubriand, so I was very surprised. For the price you pay for a Chateaubriand this was very disappointing and unfortunately I will not be going back there. 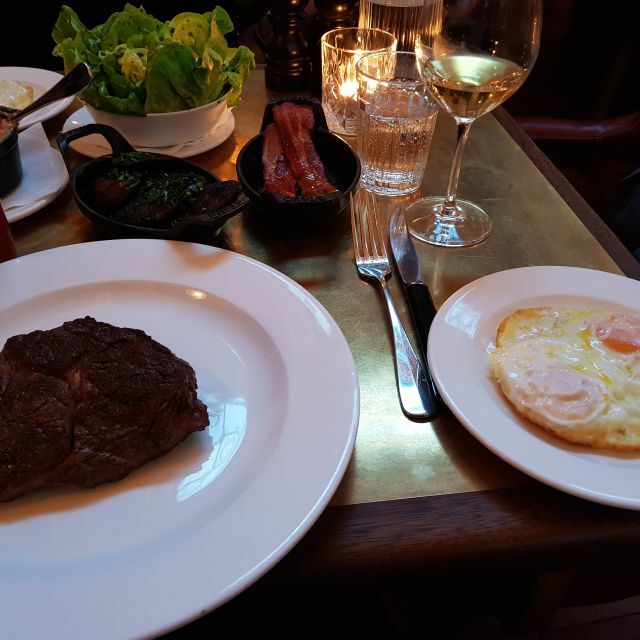 Our first time at Hawksmoor and we were very happy. Our waiter honoured the Open Table offer of a free drink although it had lapsed by 30th when we visited. Excellent ambience in a spacious room. We are regulars at the Ivy but shall be switching allegiance . Your informal staff are outstanding. Food and restaurant were both beautiful. Best meal I've had in Edinburgh for a long time. Only disappointment was with service. A few mistakes were made and then I was overcharged on our final bill. Didn't realise this until we got home which was a little frustrating, but my own fault for not being more vigilant at the time. Would certainly go back, but would hope for a smoother experience and will definitely check the bill before paying! Hawksmoor was wonderful. Lovely setting and atmosphere and the food was absolutely delicious. Food and service very good and food good value. Would have given a higher rating if the mark up on the wines had been considerably lower. Cannot recommend to friends until this is remedied and will make sure they are aware of this. Pity! 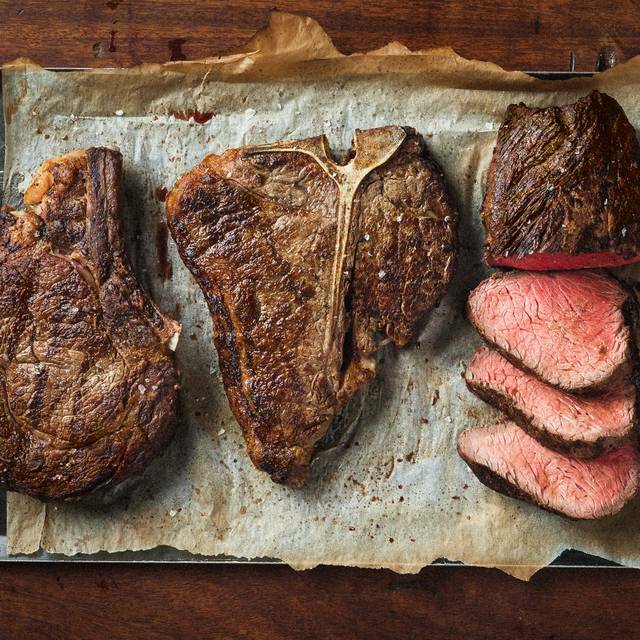 Been to the Hawksmoor Seven Dials on a number of occasions (my favourite restaurant in London) and I can say Hawksmoor Edinburgh is fantastic. From the care of the staff through to the quality of the food - all in amazing surroundings - made our visit very special. Will definitely be back. Waited 1hour for food, the cauliflower steak was burnt black....inedible. Waiter was overwhelmingly chatty. Not a good experience at all. Very nice ambiance, great value on the express menu, and attentive staff. We were very impressed by the quality of the food, especially as we were in a hurry. We had three excellent courses within an hour and left very happy! Went for lunch mid-week. The staff were very patient, helpful and attentive. The food was good. Wine list is decent quality but slightly pricy. My wife and I had travelled to Edinburgh for a few days. One of our son’s had recommended the restaurant as he and his girlfriend had been to one a few weeks previously. (In London). I have to say we were really glad we did. It was amazing. The service was outstanding. I started with bone marrow which I found a little too greasy. However, our waiter noticed, and removed this from the bill (without me even mentioning it). However, the rest of the meal was top notch. The steak we had was perfectly cooked and the sides complimented it brilliantly. For dessert I had something inspired by the sweet the ambassador used to spoil his guests with - however, it took this idea to a whole new level. Would I recommend - yes I would. Will I be returning. Yes I will! The Sunday Roasts are delicious and great value for money! Great food and a good setting, service was very attentive although parts of our order where missed. This was rectied and removed from our bill. Absolutely excellent meal and very professional staff who clearly take pride in the restaurant. Cannot wait to return!